ASUS has launched ZenFone V smartphone exclusively for Verizon in U.S. It features a 5.2-inch 1080p AMOLED display with 2.5D Corning Gorilla Glass protection, powered by Snapdragon 820 with 4GB of RAM and 32GB of internal Storage. The Device runs on Android 7.0 (Nougat) with Zen UI 3.0. On Camera, It has a 23-megapixel rear camera with OIS, EIS and TriTech auto-focus that combines laser, phase-detection, and subject-tracking auto-focus to offer focus just 0.03 seconds.ASUS ZenFone V has a fingerprint sensor on the front embedded into the home button and packs a 3000mAh battery with support for BoostMaster Fast charging that lets you charge the phone up to 60% in just 37 minutes. 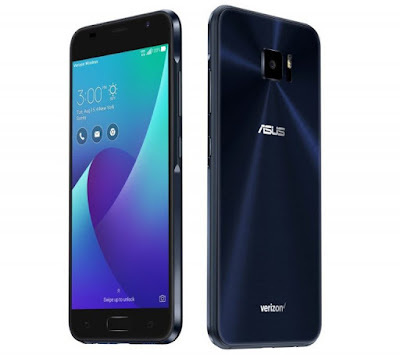 Asus Zenfone V comes in Sapphire Black color, is priced at $384 (Rs. 25,085 approx.) without the contract or at 16/month for 24 months (0% APR).